ONLY FIVE APPLICATIONS for a €3 million community safety scheme have been approved since it launched in 2017 following a spate of garda station closures. 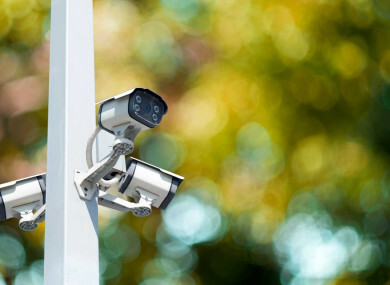 Last year, the Justice Department set up a scheme to assist groups in the establishment of community-based CCTV systems in their local areas in a bid to boost crime prevention. However, the scheme is not taking off as hoped. Last October no applications had been approved. In November, the Justice Minister Charlie Flanagan admitted that the number of applications received was “well below expectations” as only six applications had been received. A spokesperson for the Justice Department has now confirmed to TheJournal.ie that, as it stands, only five applications have been approved – despite the government allocating €3 million to the scheme. That’s the same amount it made selling 42 garda stations. The government recouped €3.2 million from the sale of stations since 2014. Crossakiel Station in Meath sold for just €6,000, while two others, Rathowen Station in Westmeath and Ballacolla Station in Laois sold for just €15,000 each. Speaking about the CCTV programme, a department spokesperson said, “The scheme, which was launched in 2017, is intended to run for three years with funding of some €1 million available each year. There have to date been 14 applications to the scheme. Five applications have been approved to date. Six applications are being considered. Last year almost €220,000 was spent on security and maintenance of vacant former garda stations, while €194,000 has been spent so far this year. Minister for Public Expenditure and Reform Paschal Donohoe said the costs were incurred by the Office of Public Works (OPW). Email “Only 5 applications approved for CCTV crime prevention scheme set up in lieu of garda station”. Feedback on “Only 5 applications approved for CCTV crime prevention scheme set up in lieu of garda station”.